When Laura, a new mother and a friend of mine told me she was feeling a little unwell I’d no idea she was really suffering from severe post natal depression. She refused to see a doctor and her husband and mother-in-law conspired to keep her condition a secret. Shut away from the outside world Laura’s mental health deteriorated until it was almost too late. By the time she was admitted to hospital as an emergency she believed she was so evil that she’d given birth to the devil. This is the true story of Laura whose life touched mine in a way I could never have foreseen. It is also the true stories of little Darrel, Samson and Hayley who I fostered when their parents needed help. Some stories can have a happy ending, others cannot, but as a foster carer I do my best and hope that in some small way I can help the children and their families towards a better future. 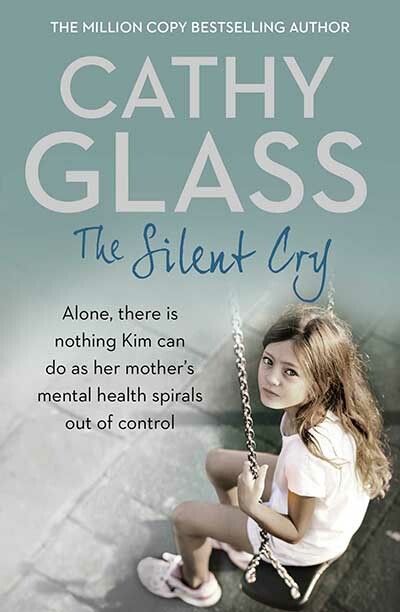 Remarkable writing again by Cathy Glass, she makes you never want to put a book down. Another brilliant book by Cathy Glass. Loved this book, can’t believe I have finished it already. A truly inspiring woman. The world should be full of people like Cathy Glass. Sarah, Goodreads Reviewer. This was a great book as usual. Her books get better and better and always feel fresh and relevant. Good use of dialogue to illustrate character and drive narrative. The book deserves to do well. These books are so heart touching. I really do admire Cathy and the work that she does. Another fantastic read. Yet another absolutely riveting book by the amazing Cathy Glass. Could not put it down. Causes smiles and tears all rolled in to one. Can’t wait for next book. Cathy Glass books are a joy to listen to.